Water pumps Bearings, support the advancement of engines, these bearings have three times greater durability than previous bearings. Water pump bearings come in two types. One is Ball. Ball type (BWF) and the other is a Ball Roller type (RWF). The Ball Roller type design offers a much higher radial load capability of the roller row, which is particularly important when supporting either a fan or a relatively high off-set belt load. We are leading manufacturer and exporter of Automotive Water Pump Bearing and our product is made up of good quality. 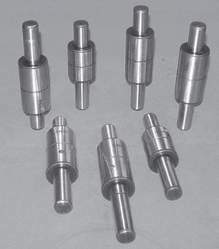 We offer qualitative Automotive Water Pump Bearing that is superlatively used in automobiles and other industrial machines for easily pumping the water for engine cooling applications. 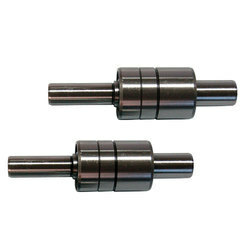 These bearings are prudently developed from the finest quality materials along with the employment of most sophisticated techniques to ensure superior radial load bearing capacity. Our offered water pump bearing makes use of centrifugal force to send coolant to the outside at the time it spins by drawing coolant from the center. This bearing makes sure that the coolant returning from the radiator gets struck to the pump vanes, which then throws the coolant to the outside of the pump to the engine. Water pump bearings come in two types. One is Ball to Ball type (BWF) and the other is a Ball to Roller type (RWF). The Ball Roller type design offers a much higher radial load capability of the roller row, which is particularly important when supporting either a fan or a relatively high off-set belt load. Looking for Water Pump Bearings ?